After writing our Perseverance acrostic poem, we really started to get into other types of poems. 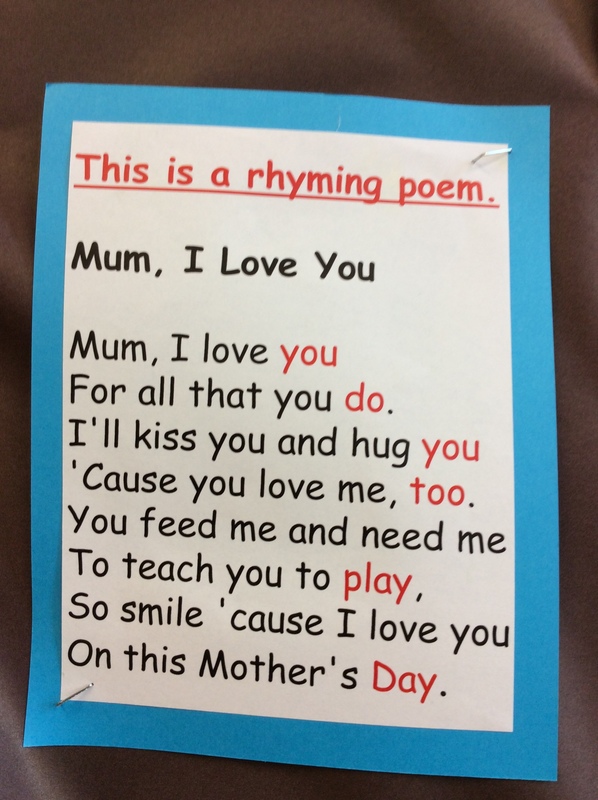 For Mother’s Day, we read and compared four different kinds of poems before choosing our own to share with our mums on our Mothers’ Day card. Then, this week for our Food topic we read some more list and rhyming poems before looking at a narrative poem. That one is a bit longer and tells us a whole story. 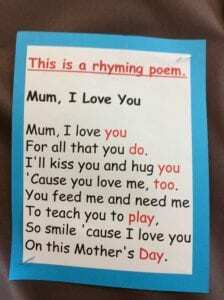 Here are the poems we have been enjoying. And pizza’s on the way. We’d never seen the teachers in a state of such distress. The headteacher was yelling that the canteen was a mess. but all the other kids decided they should join the fun. as students started hurling all their halfway-eaten food. A glob went whizzing through the air, impacting on the wall. Another chunk went sailing out the doorway to the hall. The food was splattered everywhere— the ceilings, walls, and doors. A sloppy, gloppy mess was on the tables and the floors. And so our good custodian ran out to grab his mop. It took him half the afternoon to clean up all the slop. The teachers even used some words we’re not supposed to mention. And that’s how all the kids and teachers wound up in detention.